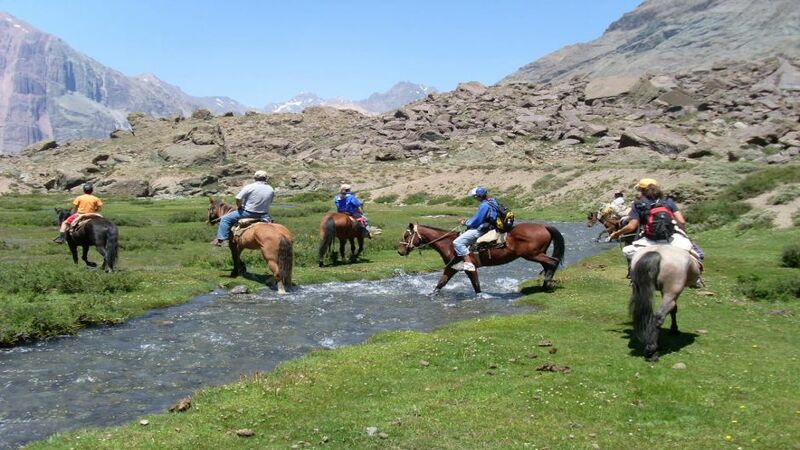 Our local driver (only Spanish) will pass through your accommodation or meeting point at 08:30 hrs to take the road to the commune of San Jose del Maipo to the corrals at the foot of the mountain. 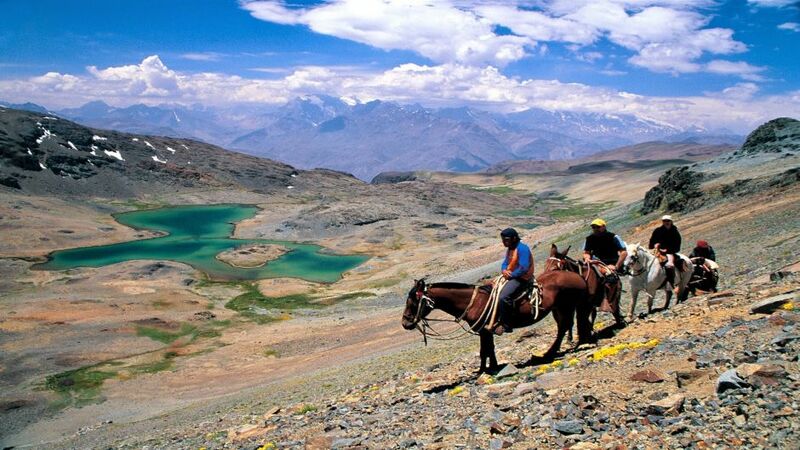 On this ride through the Andes, we will visit part of the Cajon del Maipo, ascending towards the La Campana hill, through a small plateau. 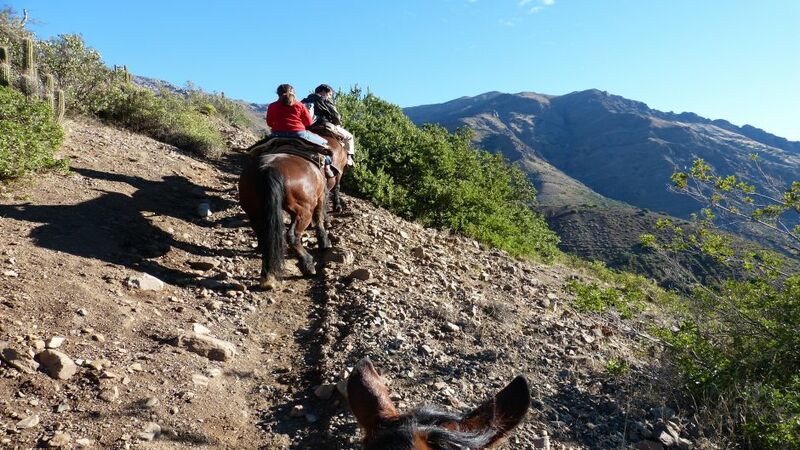 We will reach up to 1800 meters high where you can enjoy a spectacular view of much of the Nature Sanctuary Cascada de las Ánimas and the Maipo River valley. Our next destination is the Crossing of the Maquis, with 2000 meters above sea level, we will make our stop to enjoy an exquisite barbecue or some rich vegetarian specialty. The passengers will have the opportunity to enjoy a refreshing swim in the incredible posa de las lágrimas.Important Do not forget to bring a swimsuit. 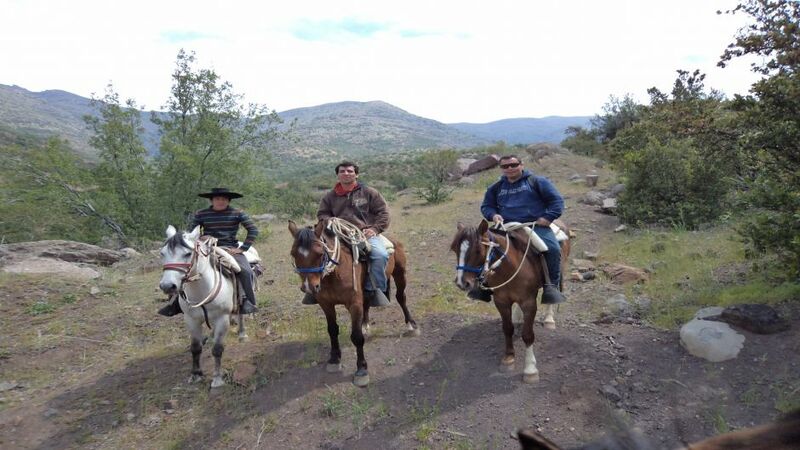 After a restful break we are ready to return to the farm so that our horses rest and take the return to their lodging in Santiago. - Not suitable for children under 8 years old or people over 85 years old. - Required a minimum weight of 30kg and a maximum weight of 100kg. - Not suitable for people with medical restrictions, heart problems, back problems, pregnant women or pressure problems. - Each passenger must bring: Sunblock, Hydration, Hat or Cap, long pants, swimsuit and towel. Start location: The price includes the start in all hotels, apartments, accommodation in Santiago. If you are in hotels that are not in the districts of Providencia, Las Condes, Vitacura and Santiago Centro, once the reservation is made we will inform the meeting point closest to your hotel.